Having a spacious, well-organized sewing room is a dream of all sewers. For people who sew as a hobby or as their job, one of the most important factors for sewing properly is having a well-lit sewing room. 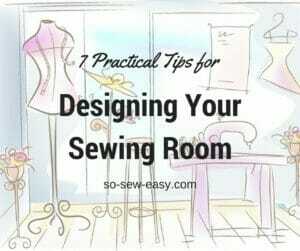 We wrote recently about 7 Practical Tips for Designing A Sewing Room. In that article, we mentioned one must-have of a sewing room, aside from adequate equipment and proper storage is good lighting. We've also dedicated a lot of articles towards ways to organize your sewing room and the things in it. We've also invested a lot of time in talking about sewing safety. But one of the most important aspects of sewing on which we've spent the least time is lighting. 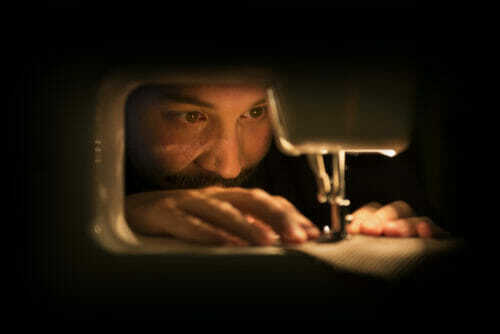 Just like reading, sewing is a strenuous activity for the eyes. Without proper lighting, sewing won't be nearly as enjoyable or as productive. As I approach 50, I can certainly feel the strain on my eyes more and more. How I wish I had planned for better lighting for all those years in my various sewing rooms. We have gathered some tips on lighting your sewing room. 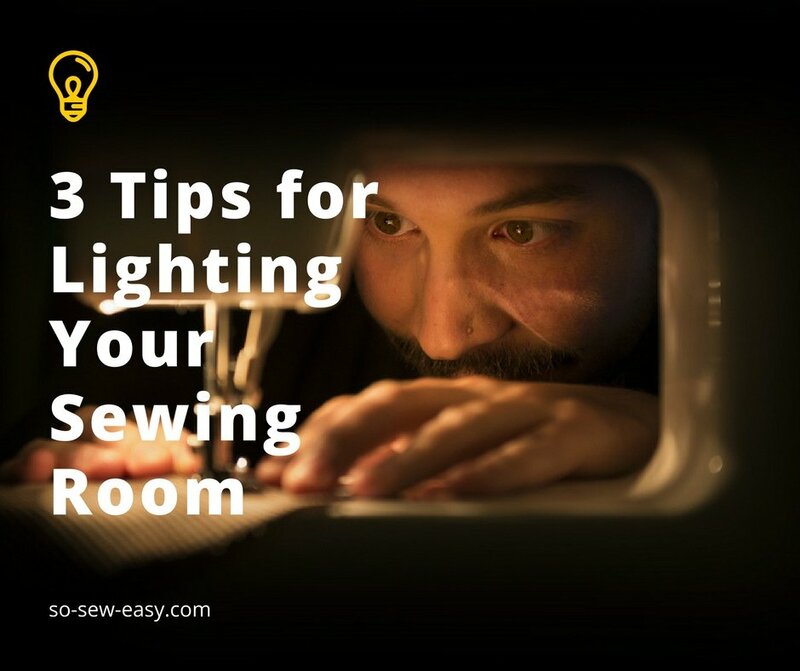 Here are some ideas how to optimize the lighting in your sewing space. 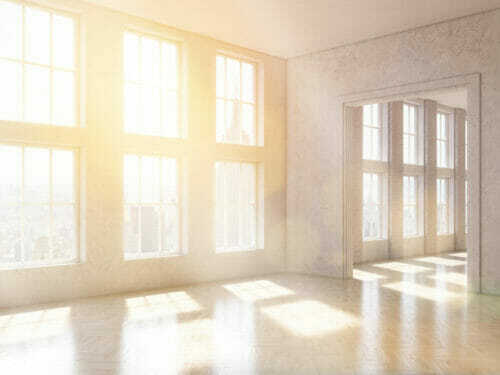 Ambient, and preferably natural, light should be the main source of light in your sewing room. Ambient lighting serves as the main source of bright of your room. Using white light for the overall brightness of the room makes things more visible and you will find it easier to move around and work on your projects. Choose bulbs that let out a bright white light. Avoid using yellowish or orange light bulbs because it can add strain and fatigue to your eyes as you work on your projects. There are many choices when it comes to task lighting. You will need this when sewing and especially if you are into quilting. Since quilting has more detailed patterns, it is important to up your task lights. It will reduce eye fatigue and exposes the real hues of your materials, especially the fabric you are using. Look for companies who sell task lights with high-quality bulbs. Never compromise your vision health. Magnifiers are helpful for tiny details in your sewing or quilting projects. Aside from your task light, you can use a magnifier along with it to aid you in hand-sewn tiny details and appliques. 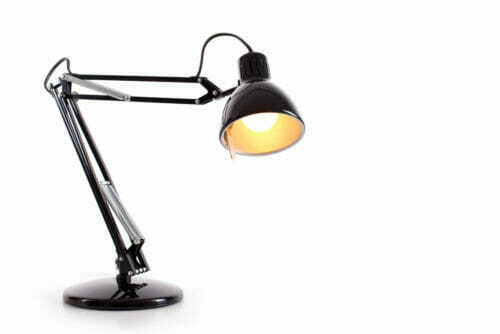 Some floor lamps include a magnifier so worth keeping an eye out for these. With a magnifier, I can assure you that you will enjoy working on those intricate details much more often. 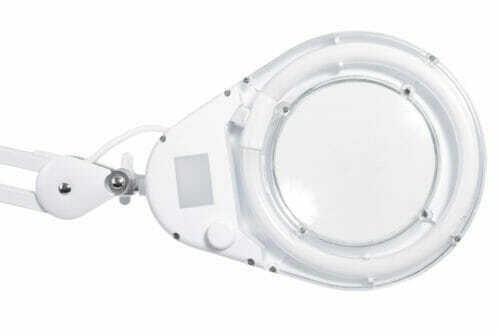 If you decide to invest on a magnifier, do your research and buy a good quality one like this. I really need to invest in some better lighting. My sewing room is in the basement, no windows anywhere. I usually sew at night since I work a day job. Need to look into the LED light bars or shop light. I love my LED shop light. I don’t care if it does look like a shop light it does the trick. During the daytime, I live in my sewing loft under a skylight, but definitely need the extra lighting on overcast days and nights. I wish your article had been more in depth, I have been trying to find 5000k LED track lights for my sewing room. 5000k is equivalent to daylight which is necessary if doing any sewing at night and necessary to see true colors. I can find LED track lights but most are in the 3500k range. Hey Deb … I work for a lighting company, so full disclosure about my link here. But we have PAR lamps in 5000K (I’ve linked to some PAR20s, just in case). I’m not sure if you’re using those or MR16 lamps in your track lighting. If you can tell me what you’re looking for, I’ll let you know if we carry something or if I can point you elsewhere for them. I have track lighting and I use the MR16 lights. Can you tell me what the MAX number of these lights is for a ‘U’ shaped track.? I bought an extremely light weight 5′ LED shop light at Home Depot for under 30 bucks. I hung it, just in front of, over my head. Used hooks that just screwed into the ceiling. There is a pull chain that I can reach while still sitting down. I love it. Thank you! I outgrew my hole in the wall sewing room (9X11) and I’m in the process of commandeering a spare bedroom. I will have two windows instead of one, but lighting is an issue for me. Seems from your article that I am on the right track! Lighting is everything, wether doing hand or machine work. I use LED daylight bulbs everywhere in my house. I couldn’t do without. My husband installed a 4 foot long LED shop light that is suspended over my sewing table and plugs into a regular power outlet. It is attached by 2 small hooks in the ceiling and therefore I can easily remove/move it to another location. Brilliant! Donna, I am interested in the 4 foot long LED shop light. Would you mind providing details to me? Thank you! Check out Home Depot. It’s under 30 bucks. I love mine. After going blind in my left eye from a small stroke, it became much more difficult to sew. I wish I had realized the importance of good lighting. I recently learned that I now have cataracts getting worse in both eyes. Then half the lighting in my sewing room went out due to electrical problems. Then I saw an ad for those strips of lighting using adhesive to affix it to the top of the tower of my sewing machine. The wattage is the equivalent of a hundred watt bulb and it hasmade such a difference. It’sgot to be one of the best investments I’veever made. Can you tell us where to get these lights? I’ve never seen anything like that but it sounds ideal. i ordered mine from Inspired LED. I have those strip lights for my machine, Got it on Amazon, they have several different ones. Thanks for the great idea. I didn’t know these existed. I’m 73 and I seem to need more light for everything. I can still thread the needle w/o a threader, so I guess I’m not doing too badly, but more lighting always helps. I love that you are pushing on despite some pretty heavy set backs! Please tell me more about the adhesive light for your machine. My 54 year old eyes with the starts of cataracts, will thank you! Very good advice, I want a room with those beautiful windows! My husband recently installed a new light fixture on my ceiling fan and now I have 4 bright white LED bulbs that light every corner of my room. My BFF told me she almost needs a visor and sunscreen to sew in my room! Hi Terri. My maiden name is Klapproth, from Wisconsin. Heehee I’m sure she was just teasing, but I find it reassuring to know that the LED lighting I have in my studio emits no UV lights and won’t damage my fabrics!! Great minds think alike! Terri, can provide more details about the light you added to ceiling fan? I have a crappy light fixture on mine & wanting to change. I really don’t know what to look for. Thank you! Several years ago, my mom gave me a standing task light on wheels for my birthday. It is perfect for my sewing room! I just wheel it over to wherever I happen to be working and I’ve got the light I need! I would suggest just not any task light. As I have gotten older I have found that I need simulated daylight, especially when working with dark colors. I have Ott light bulbs in various lamps and a Ott task light at my sewing machine. Look for coupons to get the price down on the bulbs. I don’t use Ott-lites anymore. Look for LED light bars…they blow the doors off Ott-lites. This is music to my eyes. Thanks so much for the helpful tips.